2 flute, Carbide Tipped. 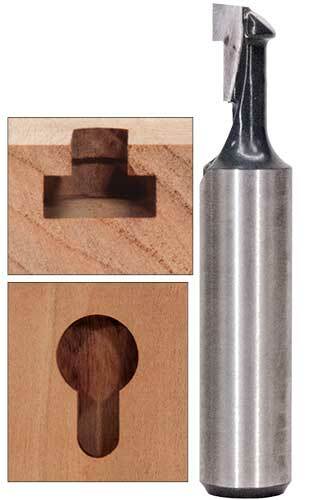 Plunging the bit produces 3/8" or 1/2" hole and moving the router creates a T‑slot which will accept the head of a screw or nail. Used for hanging pictures, plaques, clocks, brackets, etc. flush to the wall without additional hardware. 2 flute carbide tipped. Make horizontal T‑slots for accepting the head of a bolt and a washer. 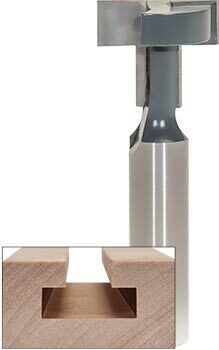 Also used for making T-slots for hanging brackets in wall panels for commercial display units. I cut a groove before using this bit to form the kerf of the T-slot. Worked smoothly, for me, in hard maple. Save 14% with 10 Pack! 48" long. Design and make your own slat wall exactly the way you want it for a fraction of the price of buying it. 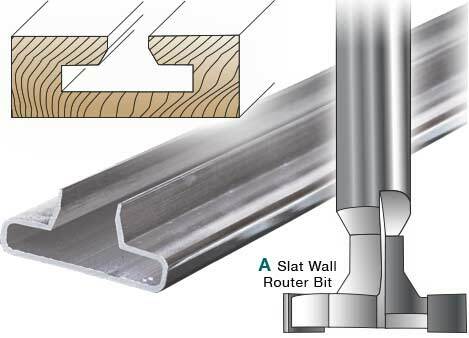 First, cut the grooves for the slats in your material using a 3/8" straight bit and our Slat Wall bit. 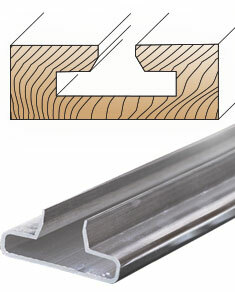 Next, insert the sturdy Extruded Aluminum Insert to reinforce your slat wall so it can handle heavier items. Save 14% with the 10 Pack! This combo made a great slat wall. I did have to make two passes with the t slot bit to ease insertion of the aluminum reinforcement. But the beauty is this is cutting your slats at increments of your own choosing which maximizes the use of wall space.